I’m happy with it. To REX or not to REX that is the question. 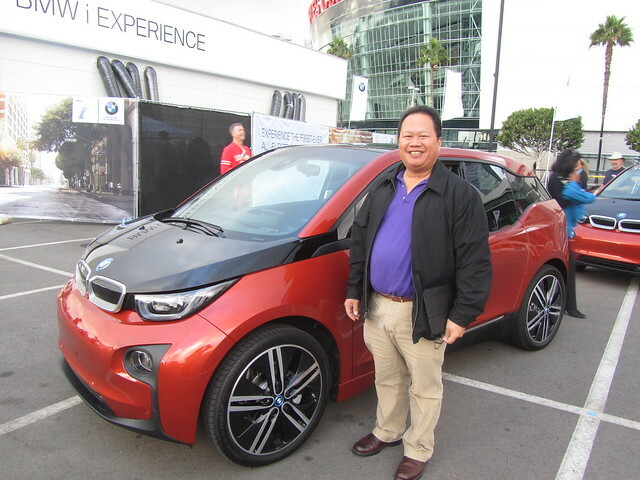 To i3 or not to i3 is another question and it all depends on what BMWi will do for ActiveE participants financially. Having provided two years of real world testing on the technology AND paying BMW for the right to do so should be worth something. 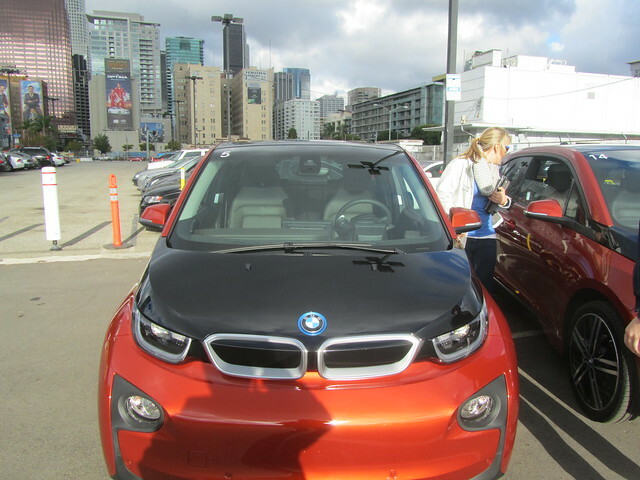 The i3 is a city car. 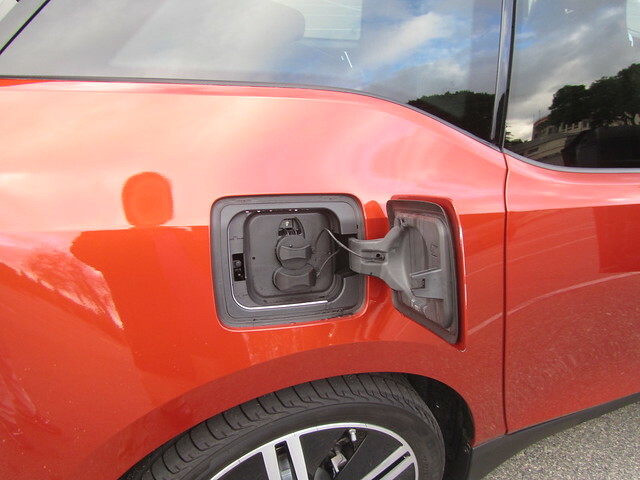 There are those on the Teslamotorsclub.com forum on the i3 that keep harping on the range and having to refill the REX that are looking at the i3 as an either i3 or a Model S debate and I am not one of those. It will depend on what my day and drive will be like. It’s range will make it ideal for most commutes and the size makes it great to zip in and out of traffic. As much as I really enjoy the Model S, it’s a difficult vehicle for day to day commutes. Those that are used to commuting with vehicles in its size should have no problems. Unfortunately, prior to driving my Active E, I have been using a Honda Civic Hybrid and a 2000 BMW 323CiC prior to that for my daily commute. As a result, I am used to driving vehicles of a certain size. Now, it has been less than a month that I’ve been driving a Model S and I may very well adjust to its size and this will be a non-issue. 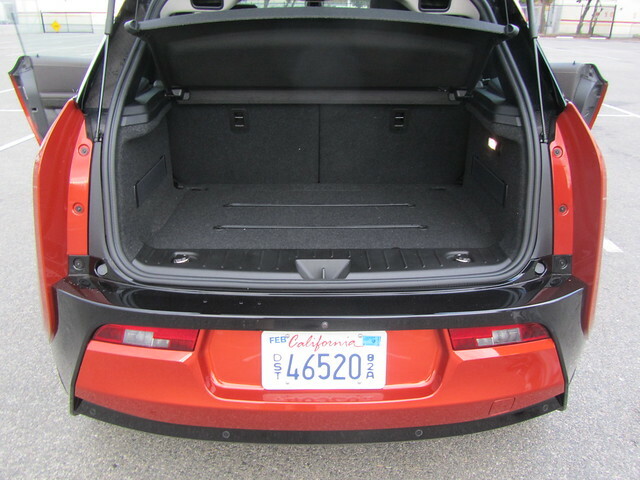 However, the Model S remains to be a larger vehicle than what I have been used to. 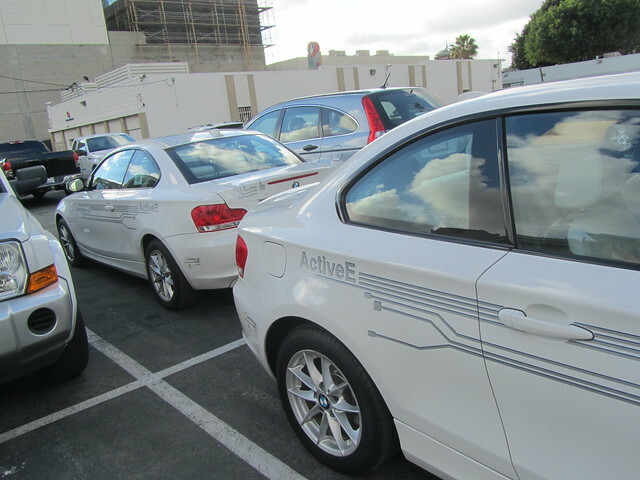 Before making it into the event, I went to park in downtown Los Angeles and had a BMW ActiveE sighting. 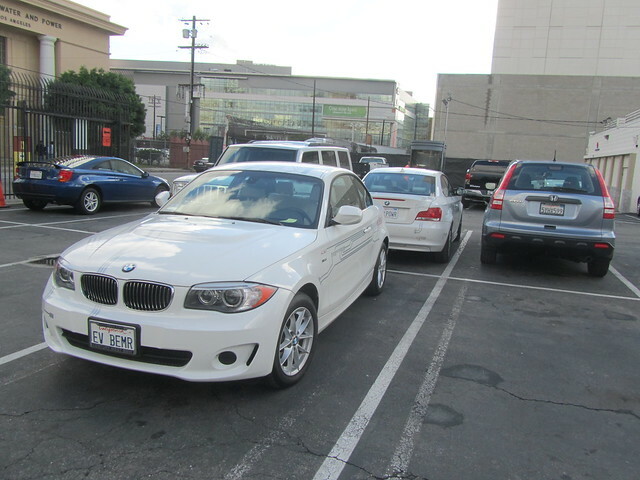 So, for kicks, I decided to park back-to-back with it. I will miss seeing these cars on the roads of Southern California. 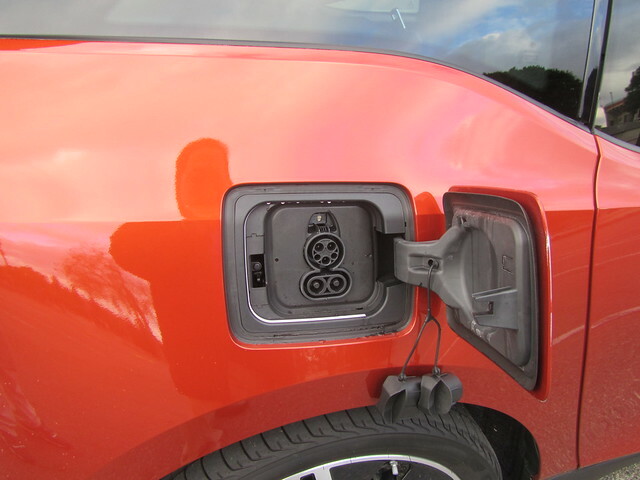 Many of the earlier ones will start to head back to BMW starting in January, unless the Electronut chooses to bridge the Active E’s service until their i3 is delivered. 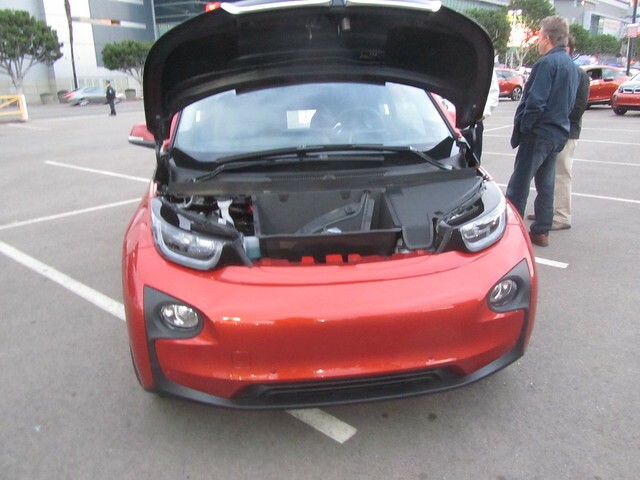 So… What about the i3? 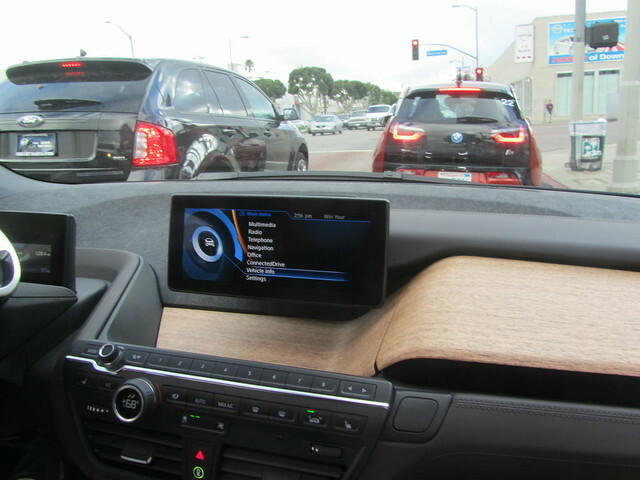 The natural wood married with technology is reminiscent of the failed Fisker Karma. It was noted later in the Electronaut event that the wood will darken and richen with age. 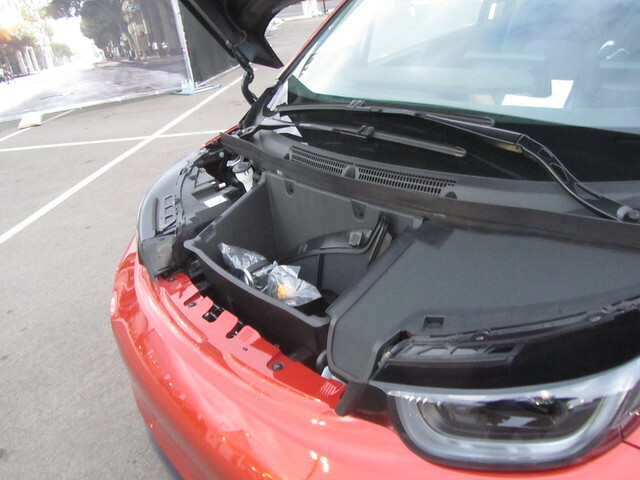 Additionally, the i3 is built on a skateboard, akin to the Model S and there is a spot for ladies to put a purse between the driver and passenger. 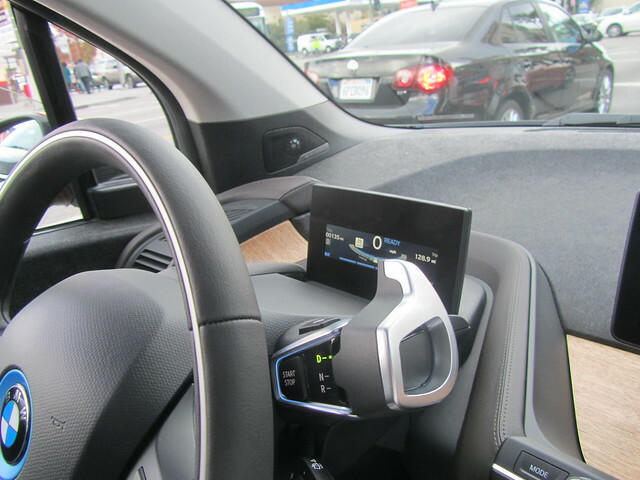 I tried playing with the infotainment system on the i3, but the ones provided to us did not seem to be working so well. I am sure this is an issue with these specific cars. I will have to check it out at the dealership again. So, how does it handle? 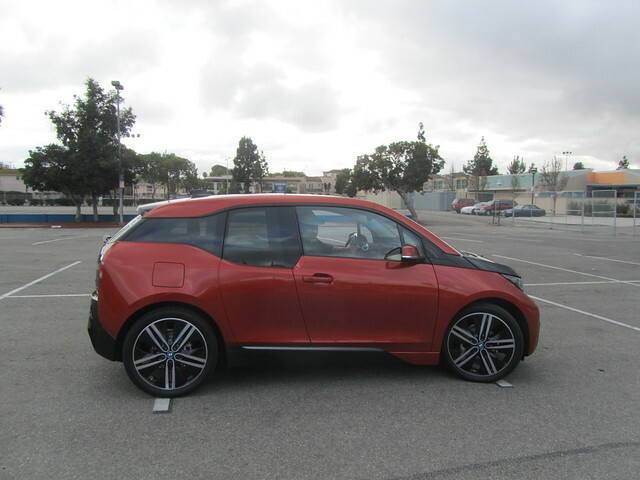 The course provided to us took us to the parking lot for the LA Coliseum where we took turns making figure eights with the i3. It is fun, quick, and has a nice tight turning radius. Forwards and backwards. 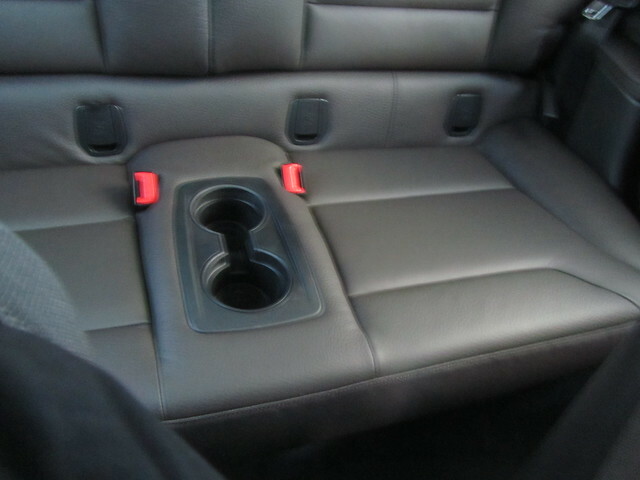 There is space for things in this vehicle. 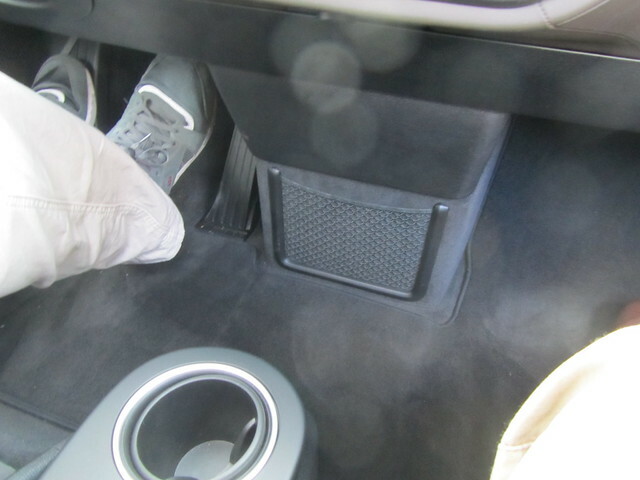 One of the benefits that the i3 has over the Model S, rear seat cup-holders. So, what is glaring? Apparently the BMW i folks decided that their gussometer is so accurate (taking traffic, changes in elevation, etc.) that they have decided to remove the SOC that has been so prominent in the Active E. I believe that this is a glaring error on their part. This algorithm is very good at predicting using past data that it does not take into account multiple driver families. As often as I am the driver of a particular vehicle, I share all our vehicles with my better half and she drives differently than I do. I use the SOC to calculate for myself whether my aggressive driving style will need to be adjusted during my commute. The guessometer does not take that into consideration. Put the SOC back in and that should fix it. 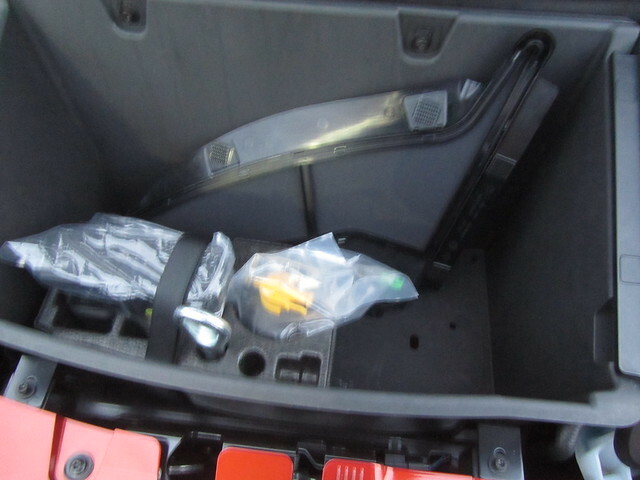 Additionally, use the keys to determine which driver is using the vehicle. The Guessometer should log my driving style for MY keys and log my wife’s driving style for HER key. Just a thought. Here’s a great panoramic of the i3s in a row. Hopefully the East Coast Electronaut contingent can get the point across to our BMW i folks. Aside from the i3 Test Drive fun, it was great to have caught up with the Electronauts and Mini E Pioneers at the event. After almost two years of being in this program, it is always a pleasant time to hang with these folks. Especially since I don’t spend time with them on Facebook. 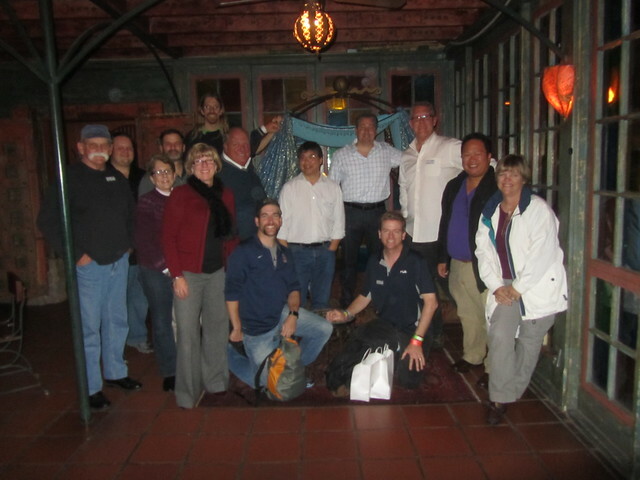 The top three West Coast mileage leaders were all in the photo and we were missing Mariel Knoll for the top four. Also in the picture is Active E mileage leader Tom Moloughney. 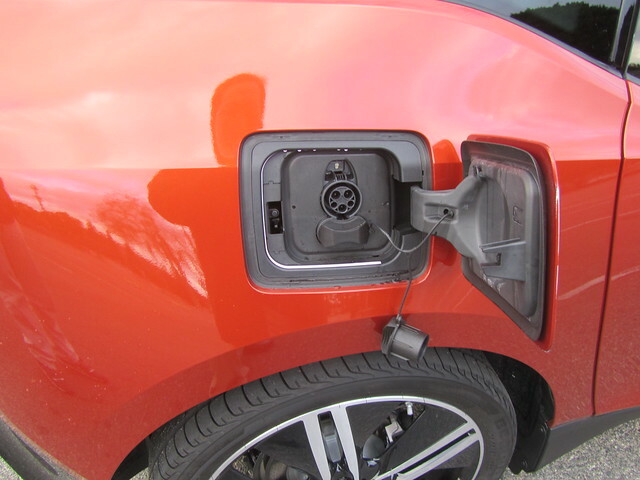 Previous Previous post: EV Thanks on Thanksgiving 2013… 50,000 all electric miles!